Hi! My daughter and I are huge fans! We love Simon's Cat and have been following your shorts for years...ok, I have, she's only 7, but a big fan nonetheless! 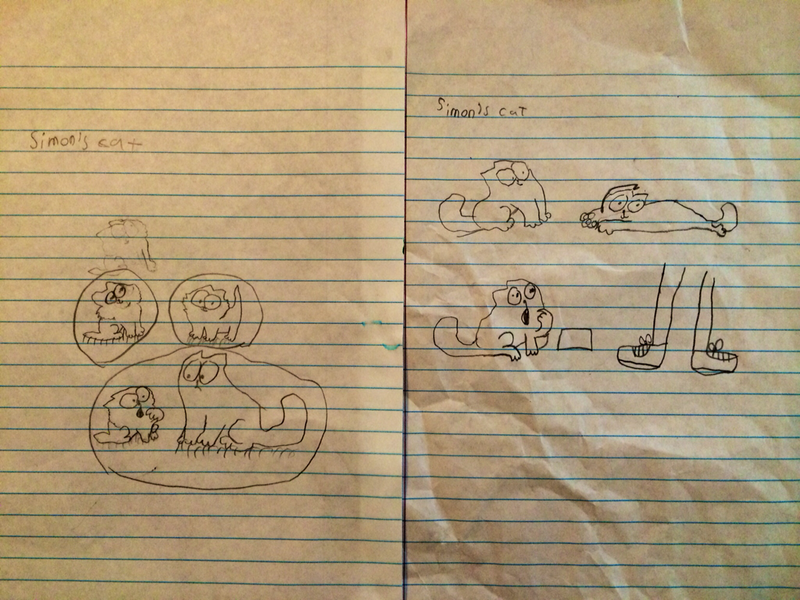 In fact, she drew her first fan art (attached) of Simon's Cat, so thanks for inspiring her! Anyway, I'd like to know if is there any chance you will ever try to bring Simon's Cat to TV? My daughter was wondering how you became inspired to start drawing him, and also, how old were you when you started. Cat-Man-Do will always be our favorite! Thanks for the AMA! Hi! I train marine mammals as well, and I was wondering how difficult it is to break into working with the navy after you’ve worked at marine parks. Is there a relatively low or high turnover rate for trainers? Also, what is it like working for the navy versus a marine park (if you can make that comparison). Thanks! Not OP, but I believe the majority of trainers in this program are civilians working alongside EOD.